‘The Right Way’ blog continued….but first an addition. Sorry there was no blog last week, but things were a little bit manic as you will be able to see considering the details below, as well as the fact that I in fact wrote up my blog and whoops, I pressed the wrong button and deleted it by accident! I was too tired to start all over again and I just have not had a chance to re-write it until now. Have I got news for….my followers. Yesterday, saw the culmination of nine months hard work, prayer and great wonder. Now if you have been on twitter or Facebook you may already know the answer, if not, read on. 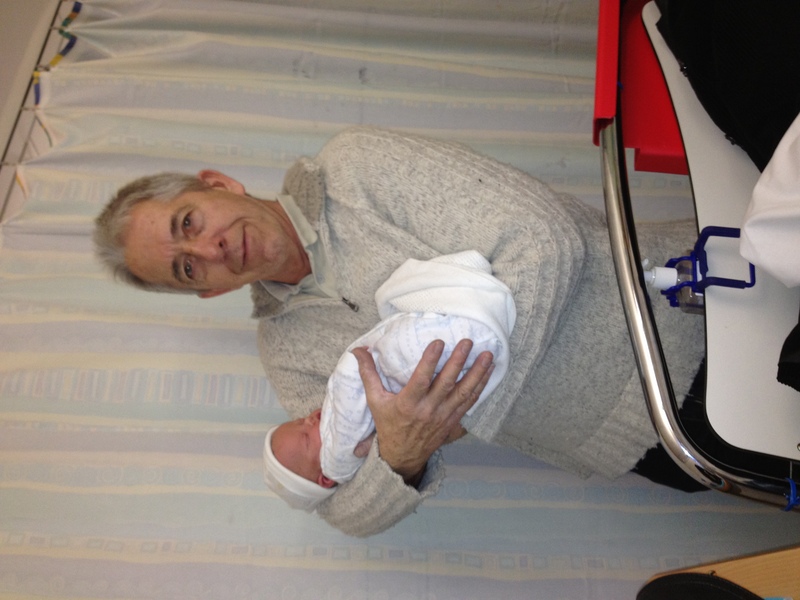 I BECAME A GRANDAD AGAIN. Little Louis, well! 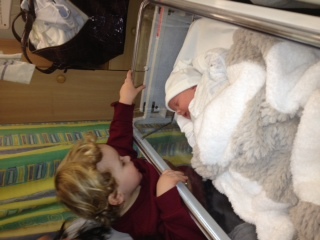 I say little 10lb 4ozs not exactly little came into the world at 1:19 pm on Friday 9th March 2012. Perfectly healthy, all parts working and in the correct place. I give praise and thanks to God for this wonderful miracle that has been born into His kingdom here on earth. Why is it that some people see it as their right to abuse such treasured gifts from God, a gift that is made in His own image. I weep in my heart when I hear or read stories of such atrocities, such things could only be in us from the prince of darkness, satan. If you read last weeks blog you will know that this is something that touches me deeply. These young children are at our mercy purely because they cannot defend themselves, we must do all we can to protect them at all cost, they are after all God’s children. ‘The Right Way’ general chit-chat. Q: How do I know that God told me to write the book? A: I know because God laid it on my heart. Q: What do you mean you had it placed on your heart? A: When God speaks to you He speaks to the heart. Q: Why does He speak to the heart, why not just normally? Q:How do you know when God has spoken to your heart? A: I cannot say it is the same for every body, but for me it is a knowing within my heart and my spirit that God has spoken to me. For me, I know that when God has laid something on my heart, I have to obey. It might be to write a book, to apologise to someone who I have been unkind to and such things. God may ask you to make things right because he wants to be able to move in your life but cannot because there is a bitterness there which needs to be healed (chapter 6 page 83 of my book ‘The Right Way’). Naturally, you don’t have to obey God because He gave us free will but if you love Him and worship Him, you will instinctively want to honour Him by obeying what He has placed within you. When God laid it on my heart about writing the book, I actually felt a sense of conviction, but at the same time, I thought within my spirit, ‘you must be joking!’ There were more words placed within me and I just knew that if God gave me the idea or thought, then He would enable me to do so. God said, ‘I have not taken you on this life journey for no reason’. I knew without any doubt that God was serious about the book. I however, protested in my spirit by saying, ‘but I don’t know how to write a book’. There was no answer to this retort because God already had a plan, which was waiting to be put into action. I started straight away fumbling about how I would start the book. I did not know what to say but I tried and God could see the sincerity in my heart and the wisdom and knowledge required just came to me. Before I started to write the book, all I knew about computers was how to turn them on, play solitaire, surf a little bit, work the printer and of course, I was pretty good at blowing PC’s up, not literally, just causing them to break down. I needed to be fairly adept with a PC and I asked God to show me how. Every time I got stuck and did not know what to do, it was as though there was an inbuilt manual inside of me. I would fumble for a while and then, hey presto! I suddenly knew what to do! It was one of the most exciting and time-consuming projects that I have ever embarked on. I had no idea how long it would take to complete but the manuscript was completed within eighteen months, including re-writes. I felt pretty chuffed with myself and with good reason, as it is no mean feat writing a book. I had to relive parts of my life that I did not relish, but I thank God for the wonderful lady He had brought into my life. My girlfriend Suzetta as she was then, many times cradled me in her arms and allowed the tears to flow and there were many. Through all the tears though and the writing God has totally healed me in all ways. I suppose you could say that I am a restored work in progress. God is so good. I would probably have disappointed my earthly father through my unrighteous behaviour, which would’ve alienated us from each other but God just stays there with us, encouraging us. When the time is right, He puts us back on our feet and builds us up again to an even greater level. His love is never-ending and never-failing. I have been very humbled by the fact that God told me to write the book, and my life has been changed totally in all ways for the better. That about wraps it up for this week, so have a good one and God Bless till we meet again. Meanwhile, stay good – you know you should, and if you try you know you could. P.S. Check out the new poets page, new poems coming on most weeks. Another week gone by, where does the time go to. I used to think when I was younger that older people sometimes spoke a lot of rubbish, especially with some of the old wives tales that used to be prevalent at that time. I remember hearing many times the words, time goes much faster when you get older, so make the most of your time while you are young. I used to get fed up with time when I was young, sometimes a week would seem like a lifetime. Funny how things change. Now I wish there were more hours in a day, more days in a week and that the weekends were longer. Because time seems to pass by so quickly makes me think did I, or do we do things the right way. This brings me to my blog update for the next few weeks. Having recently written an autobiography called ‘The Right Way’ I have decided to examine different sections of the book. To look at what could have happened if I had done things differently. What do I really mean by ‘The Right Way’ and is the right way the correct way. Join in with me as the weeks progress, leave a comment, do you agree or disagree. So is ‘The Right Way’ right or wrong. In a nutshell it depends on what you want out of life. Do you want a good life, one which is full of love, happiness, joy and salvation then yes it is the right way. On the other hand if you enjoy torment, vulnerability, uncertainty and sadness. The idea of being used to hurt and deceive others, then yes this may be the right way for you. But it is the wrong way to go. I can say the above through experience in many areas of life which are open to us if we do not want to follow Jesus. Let me delve further into my younger years as mentioned in my book ‘The Right Way’. The amniotic membrane that was over my head is said to have spiritual significance when birthed in that way. If it did or not I had no idea and it has meant absolutely nothing to me for the last fifty nine years. 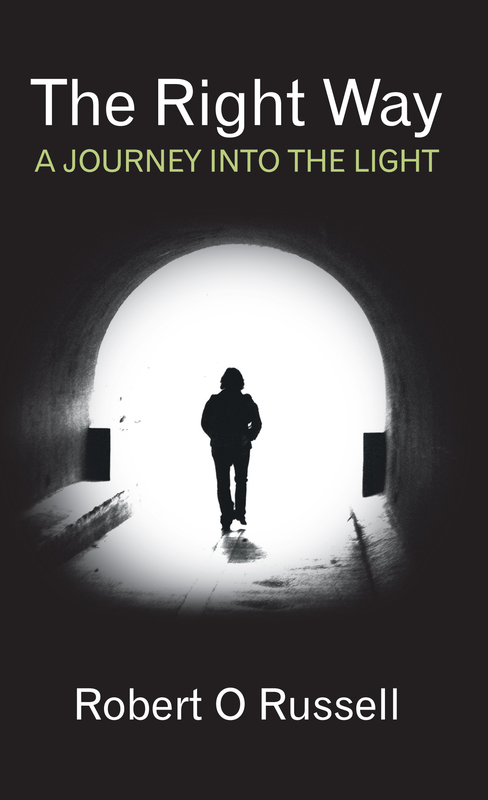 Now though two and a half years after writing ‘The Right Way’ I have had time to reflect on what I wrote and of course what has happened since. It makes me wonder where I would have been if I had followed the correct path that God had planned for my life all that time. For me I know now that things could have been very different spiritually, I would not have been in some of the dark situations that I have encountered from time to time. What about the other way, what could have happened. Well, for a start if things had carried on where motoring convictions were concerned I would have probably have ended up in prison. Married women, if that had carried on I would not like to think what may have happened. I was once threatened with having my throat cut from one ear to the other just for talking to a man’s wife and someone else getting the wrong idea and talking out of turn. That episode in itself taught me to mind my own business, it didn’t make any difference at the time but I did know. The incident with the coach, if the Lord had not had His hand on my life and my foot had just squeezed a further two MPH out of the engine I could well have been looking at a very long manslaughter sentence. Now is any of this what a well balanced person want for there life, the answer is no and because we would be off balance with our weight of sin brought about by allowing the enemy to be in charge of our lives. Although I have had visions and revelations over the past six years that I have been back with the Lord, some of the visions over the last two and a half years have been really breath taking. In the main they are to do with the growth of our church but at times they are for an individual within our home connect group. I even get visions for my wife which just cements for me what God laid on my heart when we first met, that we really are soul mates. Meanwhile, stay good-you know you should, and if you tried you know you could.